DuPont shareholders can afford to give Nelson Peltz a chance. Proxy firm ISS is backing the billionaire activist and another of his nominees for the board of the $65 billion chemical group. The case isn’t very strong. But Peltz himself has a good track record and a big stake in the company. If investors put just him on the board, he’d get a year and then it would be up to DuPont whether to give the 72-year-old an age waiver to stand for re-election. ISS stopped short of recommending all four of the nominees advanced by Peltz’s Trian Fund Management. It also demurred on the question of whether DuPont should follow Peltz’s advice and break itself up, arguing that no one “outside the DuPont boardroom” knew whether it was a good idea. Instead, ISS said the fact that DuPont’s stock price had raced ahead of underlying earnings growth was evidence that the uppity investor is “onto something” when he criticizes the company’s performance under Chief Executive Ellen Kullman. That’s a tepid argument for overturning a well-qualified board. DuPont, naturally, has defended its board and management. In February, the company tried to pre-empt Trian by appointing two highly qualified former chemical company CEOs to its board of directors. The proxy fight is, however, continuing as next month’s annual meeting approaches. When there’s doubt, companies rather than activists probably deserve the benefit of it. In this case, DuPont’s own additions to the board render Peltz’s extra nominees seemingly unnecessary. But the activist, known for tilts at Kraft Foods, Cadbury and H.J. Heinz, has a reputation as a constructive presence in boardrooms. Trian’s 2.7 percent stake in DuPont, worth about $1.8 billion, gives Peltz the same concerns as many other shareholders, too. Those voting should consider taking half of ISS’s advice and backing just Peltz for the board. There’s an added safety valve. By the proxy adviser’s analysis, the activist can be elected but he’s too old, according to the firm’s bylaws, to be re-elected next year without a special waiver. He’d be a vigorous new voice at the table but in the first instance, at least, he’d have a finite tenure. For the sake of ending the public back-and-forth – not to mention gaining from Peltz’s experience – DuPont might even grudgingly welcome that outcome. For shareholders, it’s worth twisting the company’s arm that far. Proxy voting firm ISS on April 27 recommended that DuPont shareholders vote in favor of billionaire activist Nelson Peltz and one of his other three dissident nominees for the $65 billion chemical group’s board. The recommendation came as the company and Peltz’s investment firm, Trian Fund Management, are locked in a proxy fight ahead of DuPont’s annual shareholder meeting on May 13. 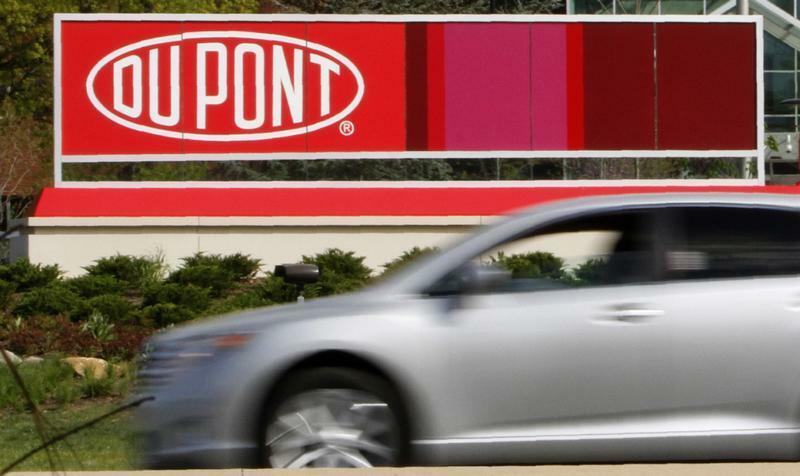 Trian, which owns 2.7 percent of DuPont, is seeking four board seats at the company. It has criticized performance under Chief Executive Ellen Kullman. DuPont has resisted adding Peltz to its board and rejected his demand to separate its more cyclical materials business from faster-growing units such as agriculture, nutrition, and biosciences. DuPont’s shares rose 4.5 percent on April 27 after ISS made its recommendation public. ISS said it was “unclear” whether the chemicals group should be broken up.